I have problems on my own and so do, pretty much, everyone else. I got conflict with everyone. With my family, friends and myself too. Yup, I am normal, I got problems and to some it may be stupid but I bet you also have those kind of little conflict too. Just, bear patiently with my awful English. Yeah! Ones problem, be it a very stupid one, but when they called it a problem, it mean "the thing" bothers them much. Some might say, get over it! There are people worst than you ok! Yet, the pain still can be feel. It still there. This is a simple life scenario. It is simple but Islam cover even that too. Islam, for me, (highlight that, it is for me) always some how give me the way and the guide to overcome all those problem. It is very soothing to come back to your religion when facing your life. Because the truth is, our religion and our life is interconnected. Actually, Islam make your life perfect! As for me, when I have problem, I always have those moment when I learn something new, about Islam, that interrelated to my problem which help me to overcome it. Sometimes, it is in the form of hadith or Al-quran lines. Sometimes, it is in the form islamic wise word. And sometimes, it just come to my heart. Islam covers every aspect of your life. For me, I like to think that it give me the sense of think before act moment in almost everything I do. We all realize we need to think before act, but what do we need to think actually? I like to do muslim way, think using Islam as your first priority. The wonderful thing about thinking as a muslim is, you actually think for everyone else too. For example, think before you dress. As a muslim, we will of course covers our aurat. In general, we know this help the most to avoid any possible harm might done to women when they attract guys. On the other hand, it make women in Islam very preserve and so valuable that whoever be their husband is the luckiest person on earth. Furthermore, properly covered aurat also help the guys to control their lust. Al quran and as sunnah, everyone know this is the basic principle that guide muslim all around the world. It give muslim the perfect instruction on how to live your life. Everything is covered from manners to practice when we are eating to how to arrange a funeral. Zakat to be pay which help to improve a country economy to practicing sincerity in every business we do. We have everything list down and I am so proud with it. It is perfection and who hate perfect? We are very structured and everything in our life have the way of doing it muslim way. One more thing being a muslim, we believe that Allah swt is always with us because Allah swt does that. Allah sees, hears and knows everything about us at any moment. Allah swt always understand my feeling and when I pray and ask Allah swt for help or tell Allah swt about my feeling it always give me the satisfaction and calm that I need. Isnt it great when you always have a person that so close to you and never left you? I do sins yet I still can have all of this. 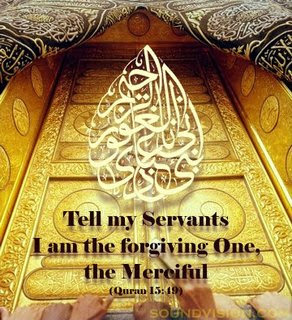 I do wrong over and over again and ask forgiveness over and over again and Allah swt return me with everything I have now. The rules not only make out a beautiful life for me, it also fulfill me in a way that I can't explain. It just make me feel enough. Alhamdulillah. 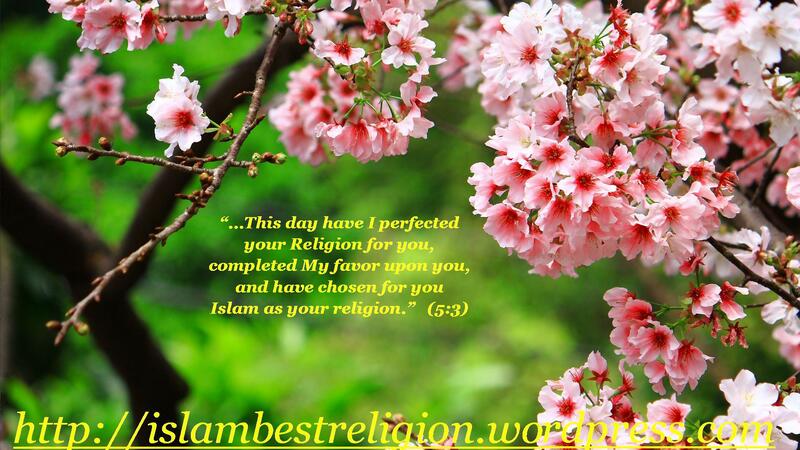 Islam indeed is the best religion. I am a muslim. Wont you be proud like me too? These are my reasons. Whats yours?